No Clog Gutters, Huntersville, NC | G&S Contracting, Inc.
For the very best no clog gutters on your Huntersville, NC home, call us at G&S Contracting, Inc. today. No Clog Gutters in Huntersville – There are dozens, if not hundreds, of no clog gutters on the market today, and each makes many promises on performance, ease of maintenance, and anything else necessary to get you as a customer. With so many options out there, where should you start? Start with a company you trust. The longer a company has been in business and the more people who have used their services, the more likely it is that the company is continuing to evolve to meet the needs of its clients. Word of mouth remains the very best endorsement that any company could ask for, and one of the hardest advertising methods to effectively use, since it’s inextricably linked to the performance of the business and how they treat their current customers. New products and services are always coming up, and the businesses you want to associate with will evaluate these products in order to see which can best meet the needs of their clients. Family owned and operated businesses with over a generation of service are also more likely to be locally focused, in addition to being aware of the particular needs of their area of business and their clientele. This is especially true in the arena of no clog gutters, with any number of options claiming any number of benefits to you and your property. Pair the company you trust with the specific needs of your property. When looking for no clog gutters, consider the construction, the materials, and how it needs to be installed with or in lieu of your current gutter system. For the very best results in your Huntersville, NC home, call us at G&S Contracting, Inc. today! 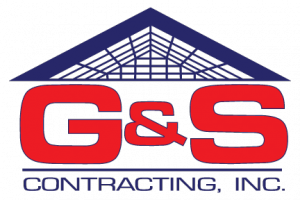 At G&S Contracting, Inc. we offer the highest quality No-Clog Gutters to our customers in North Carolina including: Huntersville, Cornelius, Davidson, Charlotte, Mooresville, and Lake Norman, North Carolina.